Welcome College Intern McKenzie Altmayer! Editor's note: We are pleased to welcome college intern McKenzie Altmayer to our editorial team. McKenzie will be very instrumental to us on the creative realm of the writing experience. My name is McKenzie Altmayer and I'm a former Illinois high school runner. I graduated in the spring of 2016 from Geneva High School (go Vikings!) and began my collegiate career at Syracuse University in New York. I was only an Orange Woman for a year when I decided this university wasn't for me. For a lot of different reasons things didn't work out in New York and it wasn't set up to be the college experience I wanted. That being said I transferred at the end of freshman year and have run for Bradley University in Peoria Illinois ever since. And quite honestly, it's the best decision I've ever made. During my time in high school, I did manage to rack up a few accolades. I was all-state four times in my career: twice in cross country and twice in track my senior year. I hold the 3200m record and the 1600m record at Geneva as well as being about two seconds off from the cross country school record, still slightly bitter. But more importantly, my time in high school taught me how to be a competitor. It gave me confidence moving into the next level of running that I could be capable of anything. I learned how to be gritty and never stop fighting for my goals, no matter how unfathomable they may be. I've learned a lot moving onto collegiate running. A lot changes in the NCAA. The transition is hard and it's a process that athletes need to learn to have the patience for, but it's so worth it. The familial team atmosphere is still there as well as the wonderful running community. It's a great opportunity to run in college and at the highest division; it's not something I try to take lightly. But through this change, I've grown and matured. I've seen the underbelly of the NCAA system, I've seen teammates and friends struggle mentally and physically, I've seen burnout, but I've also seen success and absolute joy. 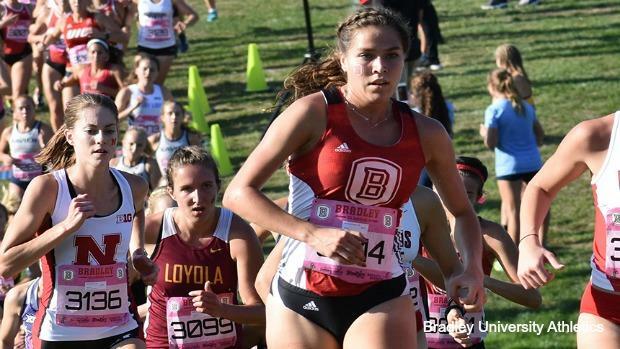 I know a lot about recruitment and transferring and I feel that I have a lot of insight into all the aspects of running and racing that I look forward to sharing. 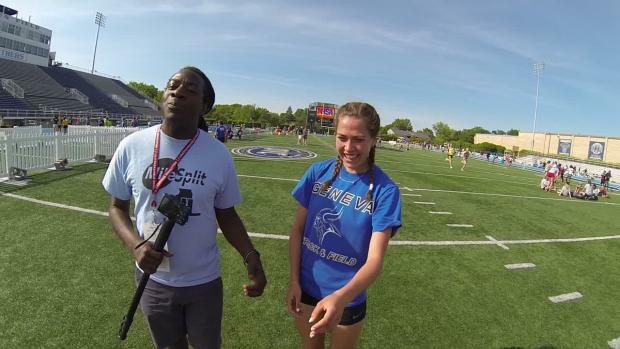 I think it's fitting that I write for MileSplit Illinois. I'm a creative writing and English major. Creating and using language to show and convey a message or an emotion has always been my passion. It's an art form I both respect and love to contribute to. Couple this passion with my intense desire and motivation for running; MileSplit quickly became a dream opportunity. I can't wait to share more content and some of my own experiences in high school running and beyond.